Decorate your refridgerator, file cabinet or any other metal surface with these beautiful magnets. Great for holiday gifts! 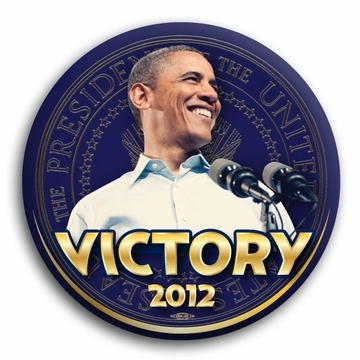 Obama Biden 2013 Inauguration Commemorative Magnet 3"
Obama 44th President Eagle 2013 Inauguration Magnet 3"
Barack Obama / Lincoln "A New Birth of Freedom" 57th Inaugural Commemorative Magnet 3"
Obama / MLK A Legacy of Hope Magnet 3"
Yes We Did Obama Biden 2012 Victory Magnet 3"
Obama 2012 Victory Presidential Seal Magnet 3"
Obama 2012 Victory Red White and Blue Magnet 3"
Obama Biden Victory For America Magnet 3"
Future of America Obama Magnet - 3"
"Yes We Can" Barack Obama / John F. Kennedy Magnet - 3"
America's First Family 56th Inaugural Magnet - 3"
America's 56th Inaugural Obama and Biden Magnet - 3"
Barack Obama and Joe Biden Inauguration Magnet 3"
Barack Obama History In The Making Magnet 3"